Time for another edition of the AFA Podcast. 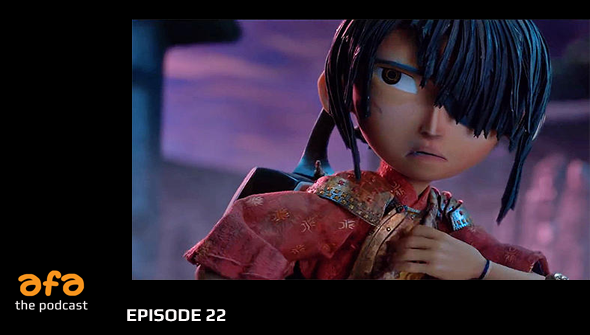 This week Chris, Dan, Rachael and Yvonne talk about some exciting recent animation news, such as Cartoon Saloon's The Breadwinner, the Golden Globe Nominations and the amazing trailer for LAIKA's next, Kubo and The Two Strings. A bit later we talk about things we've been watching including the latest South Park, One Punch Man and Yu Yu Hakusho. Listen to the episode here, or find us on iTunes, Podcasts.com and Stitcher. If you like the show, don't forget to subscribe via the method of your choice, and why not leave us a review? They can really help others discover the show! Direct download the show here. Find all our previous episodes here. Listen out for our Christmassy special next week!